Earlier this summer, the girls & I were introduced to The Pop Ups, a Grammy-nominated children's musical duo based in Brooklyn. Now, every time I'm at my computer (and I'm only slightly exaggerating here), they ask to watch their videos. 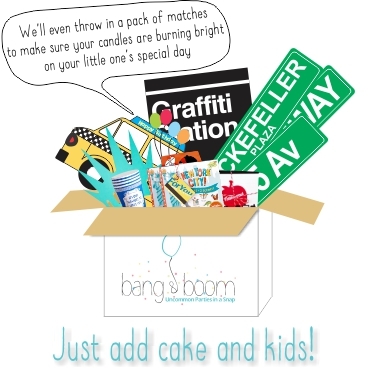 Led by Jason Rabinowitz & Jacob Stein, The Pops Ups are all about catchy tunes & clever, fun videos. And needless to say, their creative collaborations are a welcome break from Old MacDonald. I may or may not dance along to The Robot Dance on a regular basis... but let's keep that between us, shall we? Here'a a cute video of Millie dancing along to The Pop Ups at a recent concert along the Hudson River in Tribeca. Now, moving on to another of our favorite things: ICE CREAM! 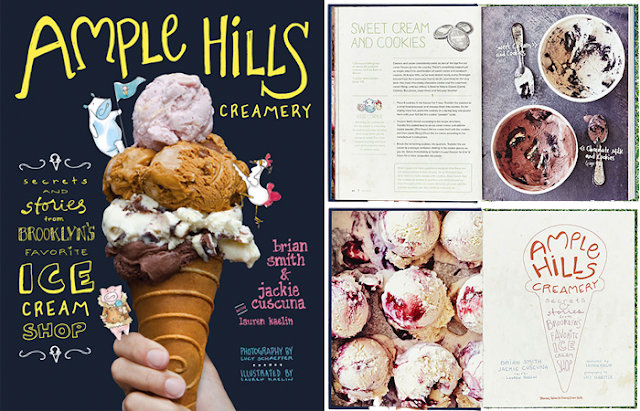 The Pop Ups have teamed up with Ample Hills Creamery to spread the love about their sweet treats & new cook book! 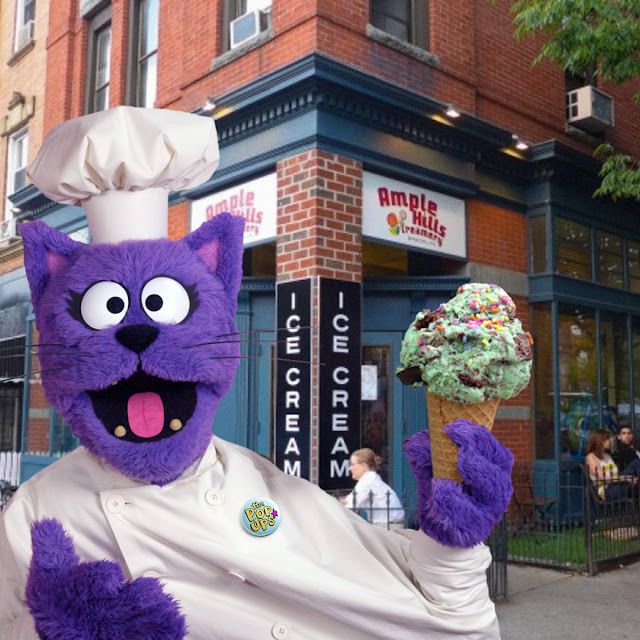 The creamery, which originated in Brooklyn, now has locations in Queens & Manhattan, too. See addresses & more info here, and by all means, get yourself to one of their shops for something cold & delicious STAT. Flipping through the pages of this cookbook, I am so excited to bust out our ice cream maker! And you can be, too. Here's why: I'm helping spread the word about this collaboration with The Pop Ups & Ample Hills Creamery through a giveaway! The Robot Dance is fun! We never heard of them before! How fun! We haven't heard of the Pop-Ups, but we'll have to check them out. So fun. I've not heard of them, but am checking them out now! Omg, In loving the Pop Ups now. They are so unique. Favorite song so far is the Counting - What's That. I'm sure I'll have more favorites after I listen to them all night. Fun! I have never heard of this group but it sounds like my girls would enjoy. Oh my gosh look at their little faces as they eat the ice cream. Love it!!! 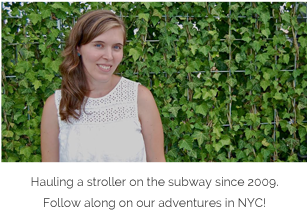 we've never heard of them before, but they look like fun!! we've never heard of them,but they sound fun!! Oh no my son doesn't know about them, I must look into it.